Both of these services will be followed by an Easter Egg Hunt. Come along with family and friends - bring the children and see how many eggs they can find! A COFFEE MORNING is held every Saturday morning in the Parish Hall, Station Road, Newburn from 10.00am - 11.30am. £1.50 charge includes tea/coffee and biscuits. Come along for a chat over a cuppa. Every Monday afternoon at 1.30pm there is a TEA DANCE in the Parish Hall. £2 admission includes tea and biscuits. During school term weeks 'Noah's Ark', a TODDLER AND BABY GROUP meets in the Parish Hall in Newburn on a Wednesday afternoon at 1.00pm. There is a charge of £1.50 per family group which includes juice, tea/coffee and healthy snacks for the children. Lots of toys, craft activities and songs. 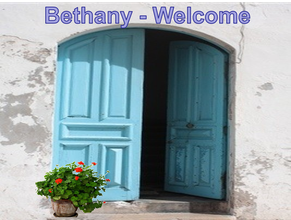 The BETHANY GROUP meets on the 3rd Wednesday of every month in St Mary's church. We start at 12 noon by having a buffet lunch together. We then have a short time of worship and prayer which is followed by some activity e.g. a quiz or game and another cuppa and cake. Everyone is welcome - this is a time of refreshment for body, mind and spirit. A donation of £2 is suggested to help to cover the cost of providing the lunch. Call Margaret Ledger on 0191 2672953 for further information. A KNIT and NATTER group meets in the Parish Hall at Newburn on the last Friday of each month at 2.15pm. Bring your knitting or sewing or just come along for a chat and a cup of tea. Sometimes we work together on a project - the picture shows one of the nativity sets that we made to present to the local primary schools. Please ring Marjorie Patton on 0191 2643221for any further information.